BY, JOHN, army officer and military engineer; b. in the summer of 1779, probably on 7 August, in Lambeth (London), England, second son of George By and Mary Bryan; m. first 12 Nov. 1801 Elizabeth Baines in Madron, England; m. secondly 14 March 1818 Esther March in Cheshunt, England, and they had two daughters; d. 1 Feb. 1836 in Frant, England. John By broke with the family tradition of joining the customs service by entering the Royal Military Academy in Woolwich (London). 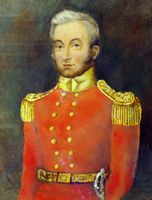 He obtained a commission on 1 Aug. 1799 as a second lieutenant in the Royal Artillery, but transferred to the Royal Engineers on 20 December. By served first at Woolwich and then at Plymouth, becoming a first lieutenant on 18 April 1801. In August 1802 he was ordered to the Canadas. There he was engaged in a variety of duties, including work on the defences of Quebec and the construction of a new canal at the Cascades (near Île des Cascades), Lower Canada. He was also associated with Jean-Baptiste Duberger* in the building of a scale model of Quebec, which he took with him when he was recalled to England in 1810 for service in the Peninsular War. 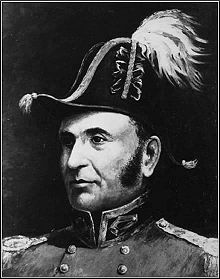 While in the Canadas he was promoted second captain on 1 March 1805 and captain on 24 June 1809. By participated with some distinction in the Peninsular War, taking part in the sieges of Badajoz, Spain, in 1811. Recalled to England in January 1812, By was placed in charge of the gunpowder works at Waltham Abbey (London), Faversham, and Purfleet, and he carried out this assignment with credit. On 23 June 1814 he was promoted brevet major, and that year he completed the building of a new small-arms factory at Enfield Lock (London), which he had designed. In 1821, at the age of 42, he was placed on half pay in keeping with the economies of the time. 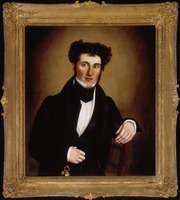 Promoted lieutenant-colonel on 2 Dec. 1824, in March 1826 he was selected by General Gother Mann*, inspector general of fortifications at the Board of Ordnance, to be superintending engineer for the construction of a canal system that would link the Ottawa River and Lake Ontario by way of the Rideau and Cataraqui river systems. By landed at Quebec on 30 May 1826 and returned to England late in 1832 with the Rideau Canal complete and in operation. He took up residence at Shernfold Park, Frant, but he was a broken man in poor health. He died little more than three years later. The War of 1812 had clearly demonstrated the vulnerability of the military supply line along the St Lawrence between Montreal and Kingston, Upper Canada. 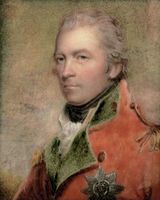 British commanders in Lower and Upper Canada had seen the need for an alternative route even before the end of the war, and late in 1814 Lieutenant-colonel George Richard John Macdonell* had roughly surveyed the Rideau-Cataraqui line. To render the route between Montreal and Kingston by the Ottawa, Rideau, and Cataraqui rivers navigable for small naval vessels, it was necessary to build a lock at the mouth of the Ottawa River, three small canals to circumvent rapids on the Ottawa, and a canal system along the stretch from the mouth of the Rideau River to Kingston. Although representations were made to London about the necessity of these works, it was only late in 1815 that orders were given for a study of the route to be made. 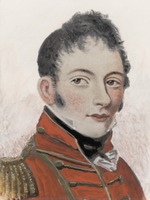 Lieutenant Joshua Jebb* surveyed the Rideau-Cataraqui route in the spring of 1816 but nothing further transpired. However, the entrance lock to the Ottawa was built by private interests that year. In July 1818 the Duke of Richmond [Lennox*] arrived at Quebec to become governor-in-chief of British North America. 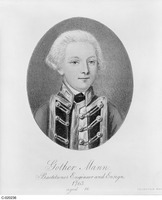 He had been ordered to report on the defences of the colonies, and within four months he submitted a fine review and a description of necessary works. 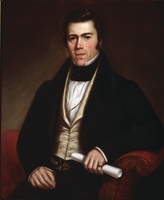 In transmitting the report to the Duke of Wellington, master general of the Ordnance, Richmond strongly urged the building of the Ottawa and Rideau canals. On his own authority, he ordered two companies of the Royal Staff Corps to begin construction of the Ottawa canals [see Henry Abraham DuVernet]. Unfortunately, Richmond’s death in 1819 while he was inspecting the Rideau route put a halt to the Rideau project. Matters rested there until April 1825, when a commission of engineer officers headed by Sir James Carmichael Smyth was sent from England to report on the defences of British North America. The commission recommended the construction of a Rideau canal. Wellington gave his firm support, and early in 1826 a start on the project was authorized. Late in September 1826 By arrived at the mouth of the Rideau River to begin initial preparations. In April 1827, accompanied by John Burrows and others, he made a canoe trip along the 123-mile route to see the proposed work sites, and that summer construction began at several places along the Rideau and the Cataraqui. By’s instructions required him to lay out locks 100 feet long and 22 feet wide, but he realized that steam vessels were destined to change water transport completely. In July 1826, even before examining the route, By had concluded that larger locks would be needed. In submitting his first comprehensive estimates of cost for the canal in late 1827 he therefore added an alternative calculation based on locks 150 feet long and 50 feet wide, large enough to take small naval steam vessels and the spars of white pine required by the Royal Navy. 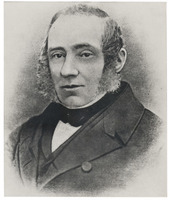 At the suggestion of Governor Lord Dalhousie [Ramsay] he sent his estimates to London in the hands of a trusted assistant, with a strong plea for permission to enlarge the locks. By’s estimates were greeted in London with consternation. His advocacy of large locks was so radical, and his estimates so much higher than any previous figures, that a special board of senior engineer officers was established in January 1828 to review his submission. The board commended all that By had done and approved of the larger locks. Official doubts remained, however, and Sir James Kempt*, lieutenant governor of Nova Scotia, was requested to head another board of inquiry, which would examine the work already done and advise on the size of the locks. The board travelled the length of the works in June and completely endorsed By’s actions. It recommended locks 134 feet in length and 33 feet in width, somewhat smaller than those in By’s proposal but the largest in the Canadas. The Ordnance accepted the recommendations and By built all the locks to the new dimensions. The task of building the canal was carried out in five working seasons, a start being made at ancillary works in September 1826 and the canal being effectively completed in November 1831. When finished, the system included 47 masonry locks and 52 dams; most of the dams were also of masonry, and one notable arched structure at Jones Falls was over 60 feet high, far and away the highest in North America. Eight of the locks had to be built at the northern end of the system in order to circumvent the falls at the mouth of the Rideau. The entire undertaking – a major one even by modern standards – was achieved through simple methods of construction. Not only was the drilling of rock carried out laboriously by hand, but all lifting of heavy timbers for lock gates and blocks of finished masonry for lock walls had to be done by manpower and by hand-operated winches and derricks. The logistics of building the canal were perhaps even more remarkable. A pioneer feature of the Rideau project was the extensive use of civilian contractors, as specified in By’s instructions. Five of those selected for masonry work, John Redpath*, Robert Drummond*, Thomas Phillips, Andrew White*, and Thomas McKay*, gave such satisfaction that By presented silver cups to them on completion of the work. Contractors for excavations, on the other hand, who were generally inexperienced, caused By much worry and trouble, the more so because some contracts had to be terminated and legal problems ensued. At the peak of construction about 2,000 men, mainly labourers but including two companies of the Royal Sappers and Miners, were living in rough camps cleared in the forest along the route. All the workers and their supplies had to be brought in, generally by canoes and small bateaux. But the most serious difficulty was caused by the outbreaks of malaria at various times, especially during the summer of 1828. The disease caused work to halt and was particularly virulent along the Cataraqui River, where hundreds of workers died. By himself almost succumbed, but his iron constitution allowed him to recover and speedily resume work. All the work was laid out and supervised by By and his able subordinates of the Royal Engineers. He must have been a splendid leader and teacher, since several of his assistants became full generals and served with distinction in high offices in British colonies around the world. A further indication of By’s character is his decision to make his headquarters at the camp established at the junction of the Rideau and Ottawa rivers and to forgo the military base at Kingston. That camp developed into the small settlement of Bytown, which grew rapidly and in 1855 was renamed Ottawa. By was clearly an engineer of outstanding ability. Many features of his work on the canal were innovative, perhaps the most original being his extensive use of dams to flood major rapids, create slack-water “lakes” of navigable depth above them, and control spring run-off. Moreover, his plans for the truss framework bridge he constructed over the Chaudière Falls on the Ottawa were based on a design by Andrea Palladio, testimony to his wide reading and his intuitive sense of good design. By traversed the finished canal with his family and friends in May 1832, but the same month trouble erupted in England over his expenditures. The British government had authorized the start of work on the canal on the basis of the very preliminary estimate of £169,000 made by the Smyth commission. Only late in 1827 could By provide a more accurate estimate of £474,000, and that figure was later increased when his recommendation for larger locks was accepted and some defence works were added. The final cost was about £800,000. However, this sum was found to include an amount that had not been approved by the Treasury. When the Ordnance received By’s last estimate in the spring of 1832, it took the unusual step of submitting it direct to the Treasury. This body issued a minute on 25 May which criticized By severely for overspending and which demanded that he be recalled to answer questions about his accounts. As it happened, By returned to England without being aware of any censure, and it was not until June 1833 that he learned of the Treasury minute. The criticism naturally affected him keenly. 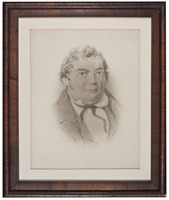 Since he had been given specific instructions by Wellington “not to wait for Parliamentary Grants, but to proceed with all despatch consistent with economy,” he was able to answer Treasury charges that he had misspent funds; he does not seem to have been called to defend himself before any committee. By had been meticulous in maintaining financial accounts, both for individual work and for the canal as a whole, and his papers would have been available for inspection if his case had been thoroughly examined. Even though he had private support from senior officers in the Ordnance, including Kempt, not a word was said publicly in his defence, despite pleas from himself, his wife, and senior army friends. He did have the satisfaction of a few words of commendation from the king, but that was all. Despite the evidence in his favour, By died without his name being cleared officially. The early 1830s in Britain was a time not only of political reform but also of changes in the administration of government. During this period the Treasury was attempting to achieve the commanding influence over other departments it later acquired, and as part of its campaign it was attacking the Ordnance vigorously for lack of proper control over expenditures. It seems probable that By in his remote station was made a sort of scapegoat in this exchange. The fact that his last estimate was sent direct to the Treasury and that that body issued its minute just four days later lends support to this view. 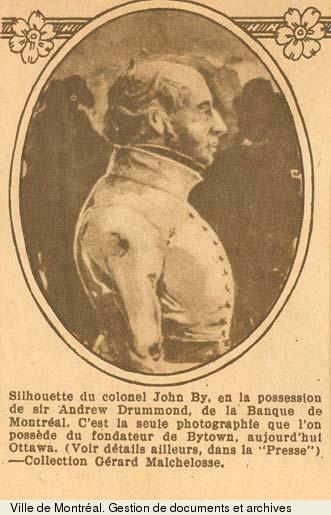 A full-length biography of By is available in R. [F.] Legget, John By, lieutenant colonel, Royal Engineers, 1779–1836: builder of the Rideau Canal, founder of Ottawa ([Ottawa], 1982). A summary biography and a description of his work in building the canal is given in the same author’s Rideau waterway (Toronto, 1955; rev. ed., Toronto and Buffalo, N.Y., 1972; 2nd ed., Toronto, 1986). 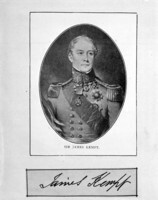 Much of the information about By’s life comes from H. P. Hill, “Lieutenant-Colonel John By – a biography,” Royal Engineers Journal (Chatham, Eng. ), [new ser. ], 46 (1932): 522–25, and this was supplemented by minor pieces of information such as his baptismal record in the register of St-Mary-at-Lambeth (London), 10 Aug. 1779, at the Greater London Record Office. Robert F. Legget, “BY, JOHN,” in Dictionary of Canadian Biography, vol. 7, University of Toronto/Université Laval, 2003–, accessed April 24, 2019, http://www.biographi.ca/en/bio/by_john_7E.html.